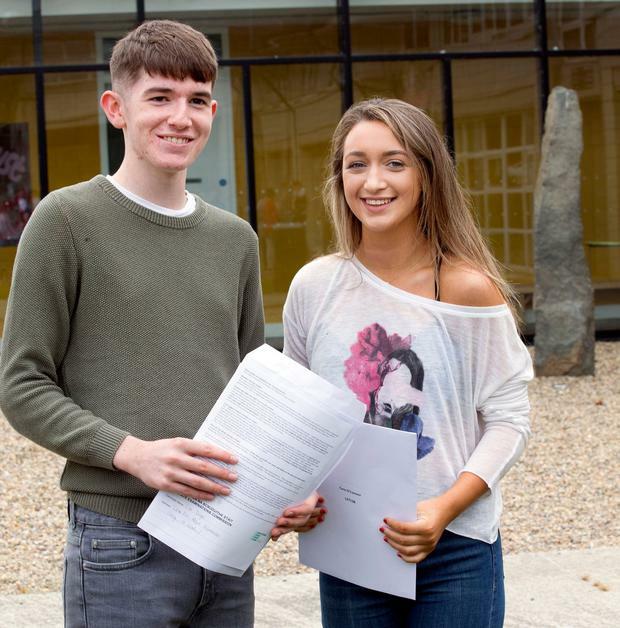 Girls continue to outperform boys in the Leaving Certificate, according to a gender breakdown of the results. In a familiar pattern, female candidates produced more higher grades and fewer ‘fails’ than their male counterparts. According to data from the SEC, across more than 20 of the main subjects at ‘honours’ level, girls were top of the class. Although the top seven students in the country – with eight H1s of 90-100pc each – were all male, generally, females had the edge in this and other high grades. The picture is similar at ordinary level. 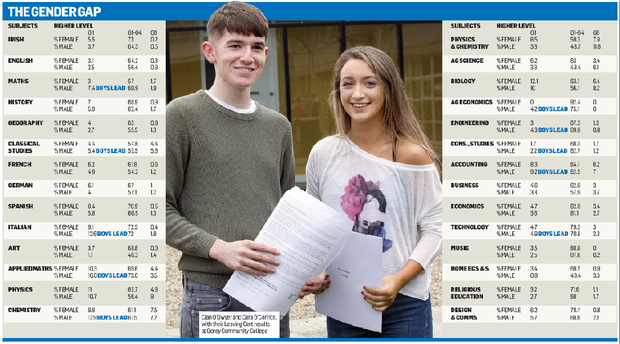 It was only in maths, classical studies, Italian, applied maths, chemistry, engineering, construction studies, accounting and technology that boys were more likely to score a H1. In maths, 7.4pc of male candidates notched up the top grade, compared with 3pc of females. In applied maths, 16.8pc of boys celebrated a H1, against 10.3pc of girls. In chemistry, 12.9pc of boys achieved a H1, compared with 9.8pc of girls. The overall superior performance by girls was not confined to H1s, and where they had the lead, they tended to hold it down to H4, where the minimum mark is 60pc. The pattern also shows up in the so-called fails, with a higher percentage of boys being given a H8, the lowest grade, below 30pc, in the new system introduced last year. It is particularly striking in higher level physics, where 9pc of male candidates got a H8, compared with 4.8pc of females. At ordinary level, the stubbornly high ‘fail’ rate of close to 10pc in maths continues to be a cause of concern. While 11.4pc of boys received a H7 for 30-40pc or H8, the comparable figure for girls was 8pc. 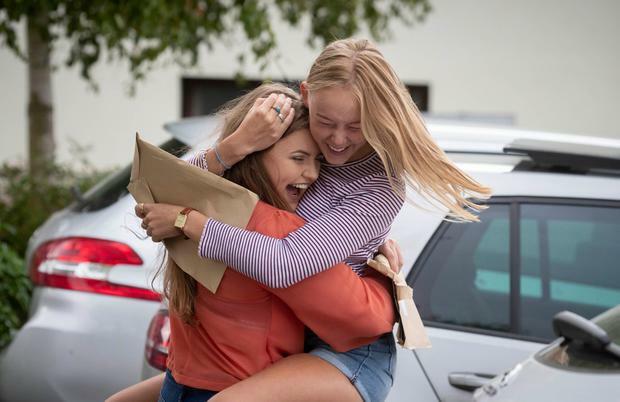 The phenomenon of girls producing better results than boys is generally attributed to girls being more organised in their approach to study and aiming higher. Yesterday was another busy day on the National Parents Council post-primary (NPCpp) Leaving Cert Results Helpline, with about 300 calls, mainly from parents. The top three queries concerned the viewing of scripts with a view to an appeal, the appeals process itself and the order of course preferences on CAO lists.